Jim England Plumbing answers the phone 24 hours a day. We offer same day service. 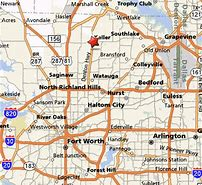 Jim England Plumbing has been in the Northeast Tarrant County since 1984. Master license #M12268 We employ licensed plumbers and we offer same day service. The phones are answered 24 hours a day. We can take care of all your plumbing needs including: water, sewer, gas, and propane. Our services include: water heater repair or replacement, sewer line repair or replacement, propane line repair or replacement, gas line repair or replacement. Installation of toilets, sinks, garbage disposals, faucets, hose bibbs, supply lines and stop replacements. We are drain line specialists and are ready to camera your drain line to get it fixed right! We are also slab leak specialists! We prefer to reroute the pipes to minimize the damage. Jim England Plumbing does residential and well as commercial work. There is no job too BIG, or too small!!! If you have leaky pipes, don't say YIKES!! Call Jim England Plumbing! Our price is fair, and we can do the repair. We look forward to serving you and your friends.